Could this be a Bromance? 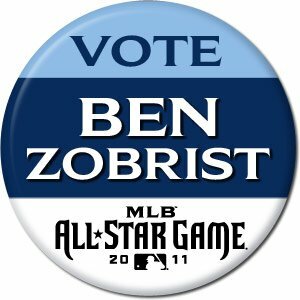 Anyone who knows me outside of the ballpark might say I am just having a “moment” with my increasing adulation for Rays uber player Ben Zobrist. There have even been whispers of a budding bro-mance (No, but I still wave), and that my respect and complete adulation for this budding MLB star might sometimes borders on downright obsession. Sorry to ruin it for the bromance police, but I see a lot of similarities between Zobrist and myself when I was playing sports, and I really admire those traits and sensibilities. I see the child-like wonder still on his face and eyes as he is getting ready to step on the field every day. And his community involvement, not only in his faith, but in his actions to bring the joys of baseball to kids, even during the off season just makes me like him more and more. 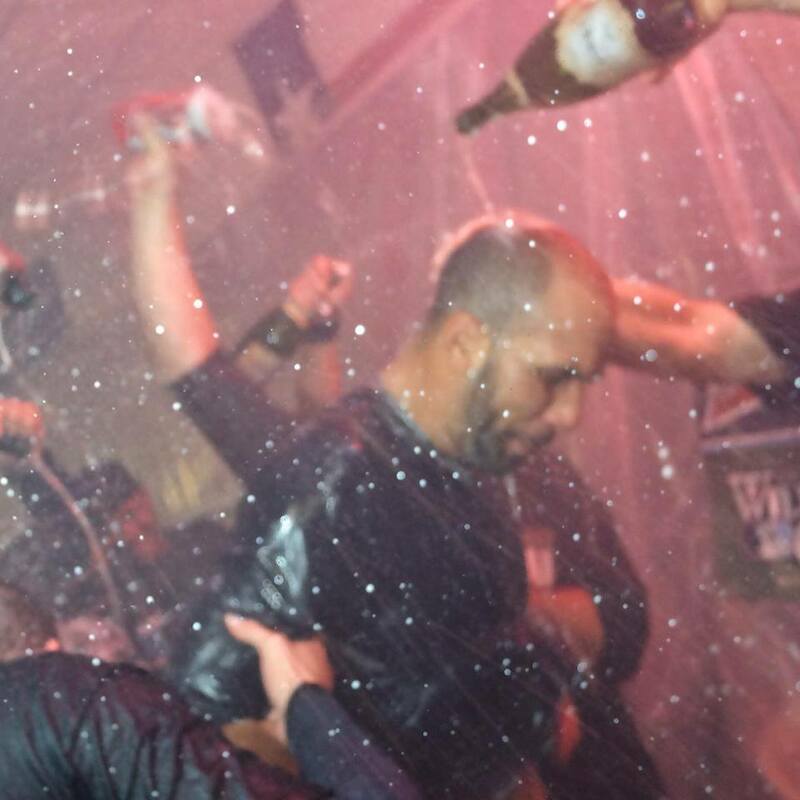 There is just something about Zorilla and the way he goes about his business both on and off the field that you want to point out to younger kids and hope they take a bit of his style, confidence and positive demeanor for the game of baseball home with them and hopefully carry it with them on the baseball diamond. Maybe it is the honest fact I might actually be watching one of the budding great role models for the kids forming right in front of my eyes, and I want to shout from the rooftops about it hoping that others outside our realm of the baseball world also hears my loud raves. And I will agree totally that I seem to push this agenda a bit hard when it comes to Zorilla, but I see so much potential yet to be tapped, or even shown to the MLB baseball world and I am thrilled to be able to watch him daily. And maybe it is a bit creepy as it is written here, but it is done with the best intentions to publicize one of those MLB players I truly label one of the real “Good Guys” in baseball. 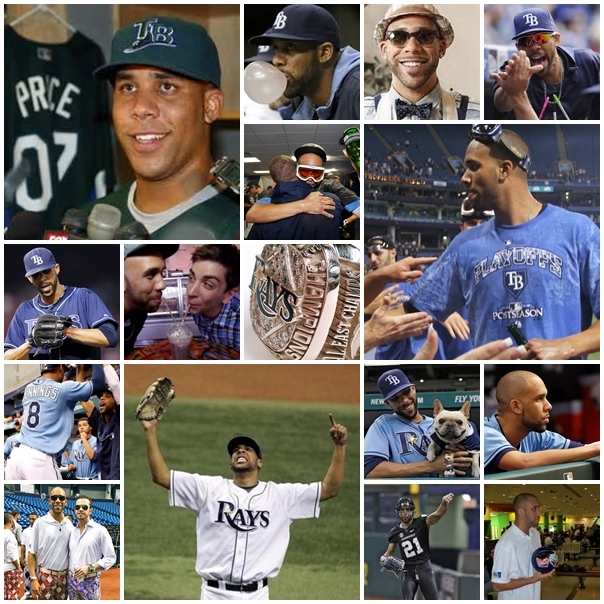 But you do not have to look too far away from the game of baseball to see he is a great example of a good man and father as well as an excellent multi-faceted baseball player. 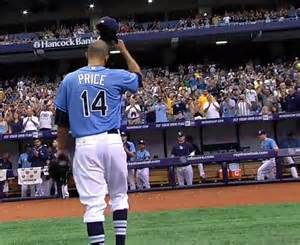 You only have to see him on the sidelines before games talking with fans, or shaking hands or hugs to other Rays fans who have grown to also know the inner “Good Guy” to know we are witnessing the ever changing growth of a great person. He always has time for the fans, either with a picture or signing a baseball. He truly knows just how blessed he is to be able to play this game for a profession every game, and it shows on his face. If you have ever seen him hold his young son Zion before games, or even seen the glances between Zorilla and his beautiful wife Julianna, you know this is a guy is grounded and supported at home as well as at the ballpark by thousands of screaming fans. I have to say I am a bit jealous of his relationship with his wife because he seemed to have found the perfect complimentary piece of the puzzle for his personal life. 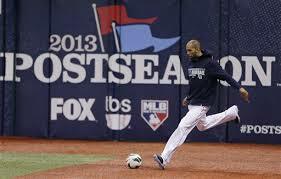 Ben & Julianna Zobrist //On the Rays 2010 Season from Ryan Bodie Films on Vimeo. 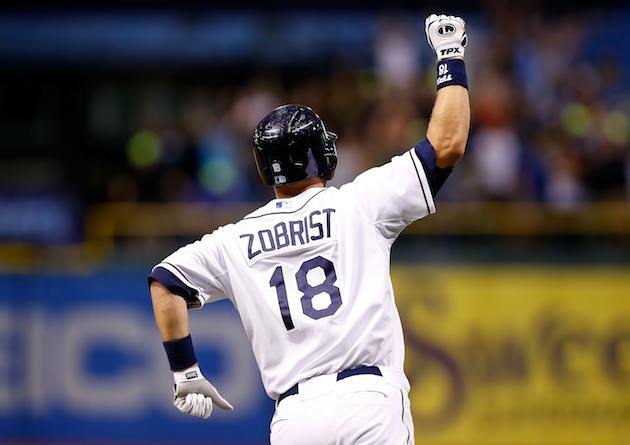 From the ground up Zobrist has solidified what each Major League player goes throughout their careers before finally busting through the barrier and getting the plate appearances and the playing time to impress and bring shock and awe to the fans and his teammates. 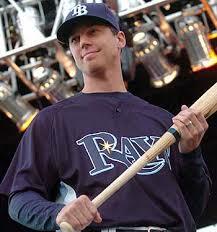 Considering most Rays fans had Zobrist penciled in at shortstop going into 2007 off season before the Rays traded with the Twins to bring in shortstop Jason Bartlett. And some players might have taken a step back, but Zobrist was confident and poised and if not for a thumb injury sustained early in Spring Training, it might have prevented an intense battle between the two. But in reality, the healing time spent nursing that thumb injury might have been the perfect antedote to give Zobrist more time to experiment and hone his swing into the power tool it is today. By Zobrist going back to basics after this injury to his thumb, it might have helped him develop his swing to incorporate his hips sooner into his swing and bring his power element to the forefront. 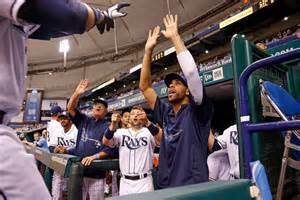 And it is simply a treat now to watch him hit and because of his fielding versatility, he adds a different dimension to this Rays squad. 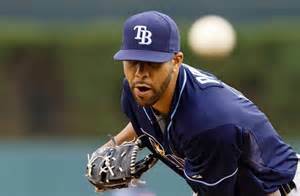 I actually think he made the Rays a better team by being so versatile both at the plate and in the field so that the Rays are able to pencil him into multiple positions without fear of a decrease in productivity or defensive ability. And most people look at 2009 as Zobrist’s banner year, but I truly think we are just starting to see the edges of a career that just might explode with more plate appearances and a possibility of position stability in 2010. If there truly was a “10th Man” award in Major League Baseball, then without a doubt, last season it would have ended up resting in Zobrist’s hands. And if you look at his final totals for 2009: a .297 batting average, 27 HR, 91 RBIs and a monstrous .948 OPS, you know we might only be seeing the start of a long career. And that is what is great about the reporting date next Friday down in Port Charlotte, Florida. It is the time for the next chapter in the Zorilla tale to begin. 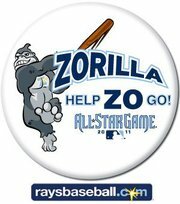 And it was refreshing in the attached video to hear Zorilla and his wife discuss candidly the upcoming Rays 2010 season and the high expectation goals each see on the near horizon. Neither of them was shy in their opinions and both honestly saw the potential for a great year with more surprises and more Zorilla All-Star chatter. But what I really liked visualizing in that video was the basic fact you saw that these two people really liked and wanted the best for each other. I know that sounds corny and a bit insane, but sometimes you can be “in love” with a person and not like them, but with these two people, the love and the connection between them just shines through in a bright shining beam of awesomeness. Okay, maybe that was a bit much, but you get the idea. 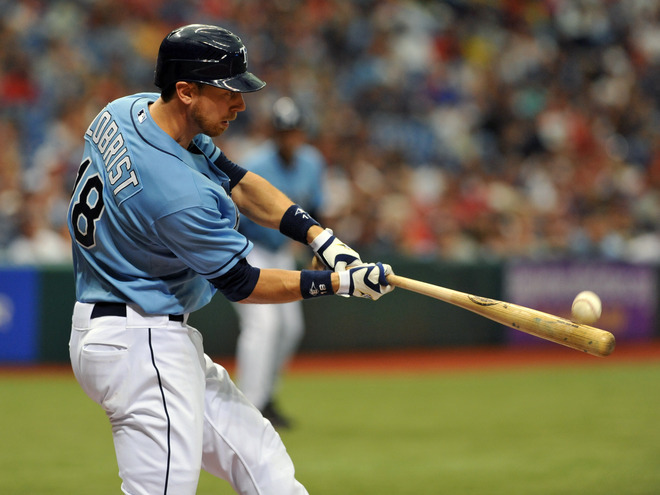 I have gotten lucky enough to talk to Zobrist a few times while he has been with the Rays and he an intelligent and very open guy who truly loves talking about baseball. 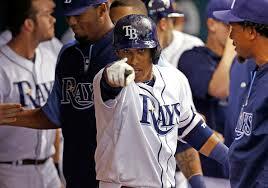 Even during one of the plays that seemed to have burst his name upon the ears of fans outside Tampa Bay, I was standing right there asking if he was okay and beaming with pride on the extreme effort he took on the play even before making impact with the low Rightfield foul line barrier. And when Zobrist came over the next day and signed his name on the broken piece of the wall, he genuinely thanked me for making sure he was okay. And maybe that is when the bromance from afar started. Because I finally saw a bit of myself in Zobrist and it forged an instant bond. One of my friends once commented that my new found attention towards Zorilla was my self actualization that we both carried so many of the same values in life, and in that I found solace and respect for him. 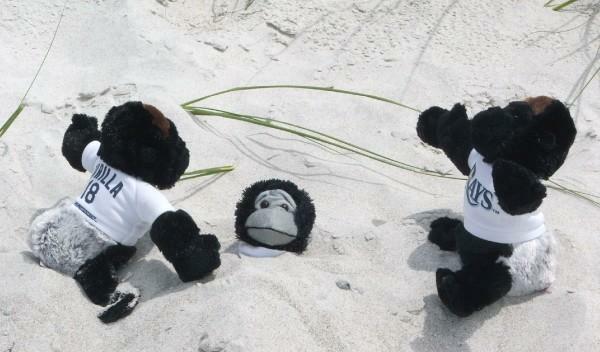 But I also find solace in the fact he is a “team guy” totally. 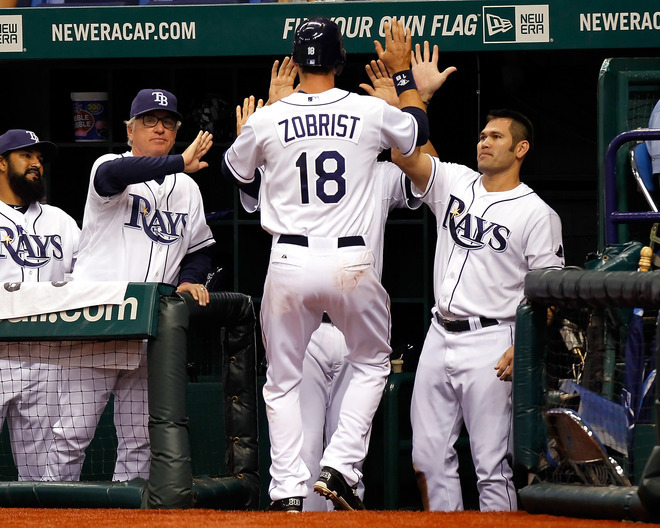 So many times you hear about players who are “me” guys, well Zobrist is far from a “me” guy, and that fits perfectly into the culture of the Rays clubhouse. 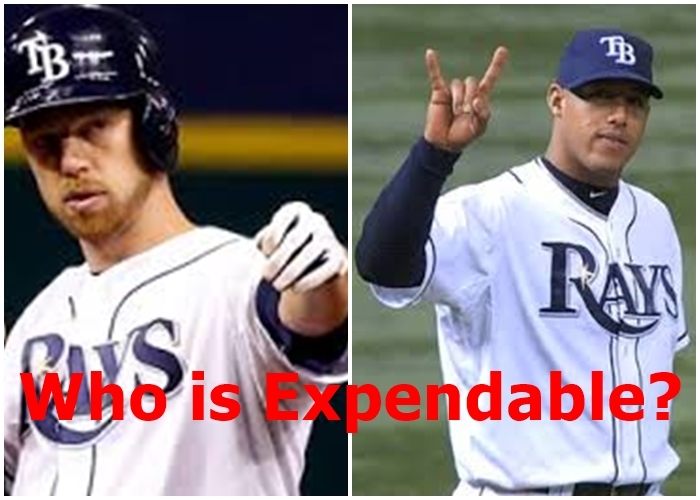 I got the idea to write this blog after reading a fellow Rays blog, Rays Index today and seeing Zobrist and his wife compared to Milly and Jimmy from the movie “Bull Durham”. And in reality, Zobrist does fall into that realm of the spiritual team mate who is always smiling and in a positive frame of mind. 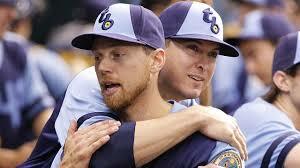 And that is infectious to a team’s chemistry and always a good guy to have around during the solemn moments. I might not personally throw “Milly” in with Julianna, but I do agree on her love of the game of baseball and for embracing Jimmy and his personality. Zobrist is one of those budding players among the ranks of the MLB that we can be proud of knowing, watching play and showing our youth the positive things about the game of baseball. 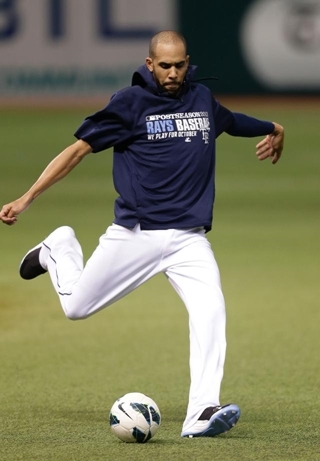 I imagine the Rays might have seen some of those special qualities when he was traded by the Houston Astros to the Rays back on July 12,2006 in exchange for slugger Aubrey Huff. 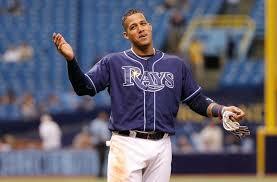 And what he has brought to this Rays roster is a lot more than just his steady play and always improving bat. 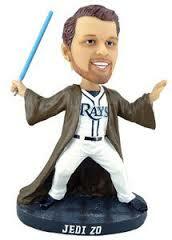 Zobrist answered in one of the attached videos he would love to play the rest of his career with the Rays. 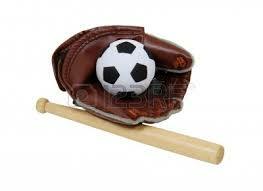 Ben Zobrist & Toby Mac //Wiffle Ball Challenge from Ryan Bodie Films on Vimeo. And that is a good thing, because this team could use a guy like him on their roster not just for his play on the field, but for his motivation and character off the field too. 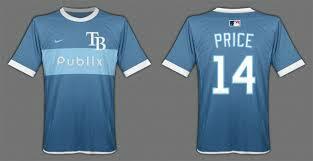 As maybe I do spend a little bit too much time talking about Zobrist right now when discussing Rays baseball. And maybe I do have a bit of a bromance rising because of it. But is any of that so different than the man-crush our parents had with the play of Stan Musial, Mickey Mantle or Ted Williams? I actually think it is a healthy way to be, but then again, I am a Zorilla fan!